Sure, the deals may be alluring—but so are our handpicked alternatives, spread across 11 different cities. We all love a deal, and the offerings the day after Thanksgiving may be hard to resist. The crowds, however, aren’t, and if it’s a tryptophan-induced day of mellow you’re after, you’re in luck. 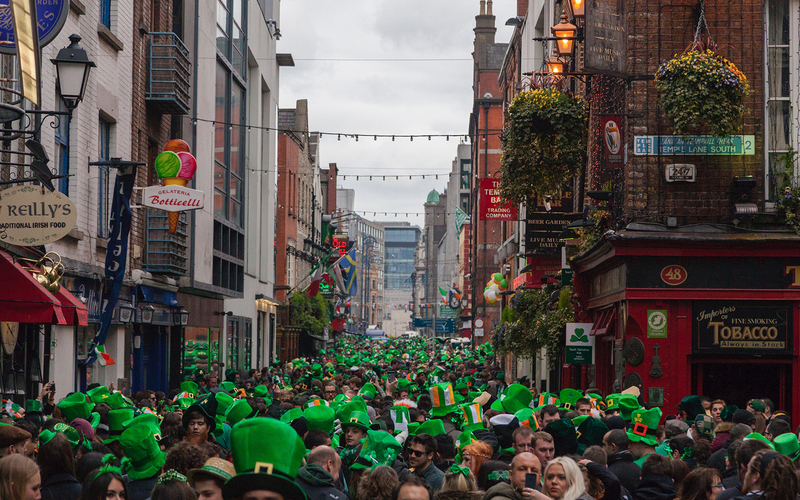 Since it’s the retail outlets that will be most taxed on this day, you’ll find your city’s usually populated spots delightfully less crowded. We’ve used that blissful fact to guide our selection of what to do instead of shopping on Black Friday, whether snagging a table at the hottest restaurant in town, jumping the line on beloved local holiday traditions, or going against traffic and getting out of town for a hike. 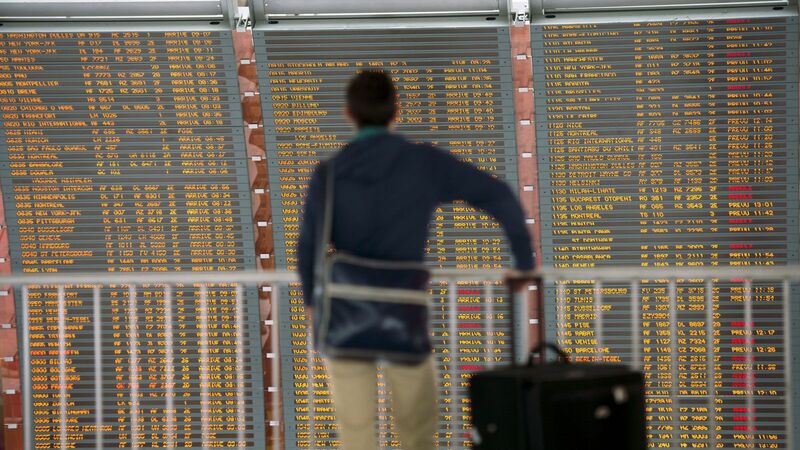 Read on for our international list (if you’re convinced Thanksgiving and Black Friday are solely American traditions, think again), or jump to the destination of your choice: Atlanta, Amsterdam; Boston; Chicago; Los Angeles; Miami; New York City; Portland, Oregon; San Francisco; Vancouver; and Washington, D.C. Instead of a shopping marathon this Black Friday in Atlanta, why not take the opportunity to explore the city through its arts, food, and greenery galore? Whether eating savory Southern fare or wandering around the city's museums, use the free day as a chance to enjoy Atlanta and the many things it has to offer. The weather hasn't gotten frigid in Atlanta yet, so stroll past the beautiful flowers and greenery at the city's botanical garden before they hibernate for the winter. Stop at the the Café at Linton's inside for garden-inspired eats like African squash soup and kale salad, or a cup of coffee or hot tea and marvel at the surroundings. 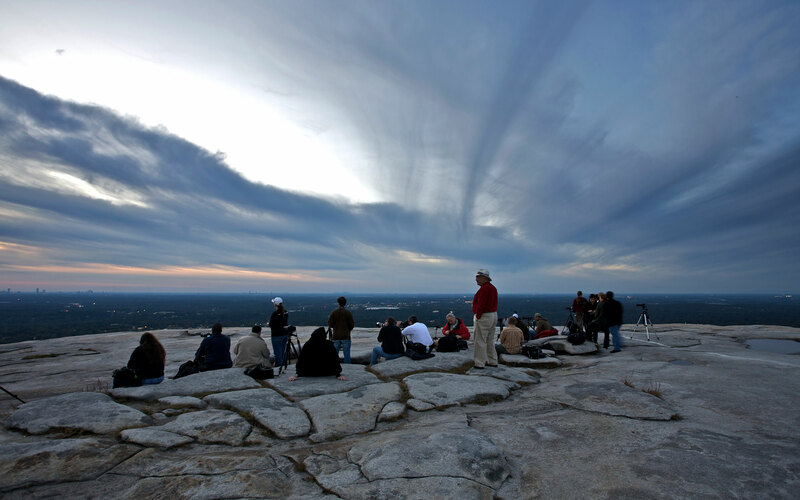 Just twenty minutes east of Atlanta, Stone Mountain Park is the perfect place for a scenic hike for stunning views, including the Atlanta skyline and the North Georgia mountains. When you get to the bottom, stroll around Crossroads and take in the park's annual Stone Mountain Christmas, which features thousands of lights decorating the buildings, and holiday specialties like freshly made fudge, whipped cream-topped hot chocolate, or apple cider with fresh cinnamon sticks on offer. Mary Mac's in Midtown is the heart and soul of Atlanta as far as Southern food is concerned. From the warm, buttery yeast rolls and cornbread to the tomato pie, proper Southern iced tea and creamy macaroni and cheese, no one will leave with an empty stomach. For newbies, be sure to tell your waiter it's your first visit, and you'll get a complimentary bowl of pot likker. The site of the park built for the 1996 Summer Olympic Games Atlanta hosted, the ice rink at Centennial has become a treasured annual city tradition. It opens at 10 a.m. and closes at 11 p.m. on Black Friday. Visit the Michael C. Carlos museum to learn more about ancient Egypt, then head to the Fernbank Science Center to dive into the world of dinosaurs, and finally the Atlanta History Center to go back in time in the 1930s-era Swan House, or one of its award-winning exhibitions, such as the one about the evolution of folk arts in the changing South. In this European-style eatery, bar and coffeehouse, guests can enjoy a drink from the bar, a cappuccino, or a slice of their many tantalizing desserts, all made in-house. A full menu, including breakfast all day and sandwiches, pasta, and salads also is available. The ambiance here is undeniable, with low lighting and candles everywhere—and about as far away as you can get from the shopping frenzy happening elsewhere. Want to know more about the above? Read the full scoop here. There’s so much to do in Amsterdam, it’s easy to avoid going shopping. In fact, it’s the perfect city for pointless pottering about—but if you need some ideas, here are just a few must-dos when you’re in town. Start the day off in leisurely fashion with a delicious breakfast at De Bakkerswinkel. Choose one of their homemade croissants, fresh sourdough bread, and other baked goodies. There are several branches around town, and all of them are good. What better way to avoid shopping than to ponder Amsterdam’s long history as a trading capital? Find out all about the once mighty merchants of the city at the quirky and enjoyable Amsterdam Museum. Get active by going for a run, a bike-ride, or just a gentle stroll through the Vondelpark, the city’s most central and best-loved park. 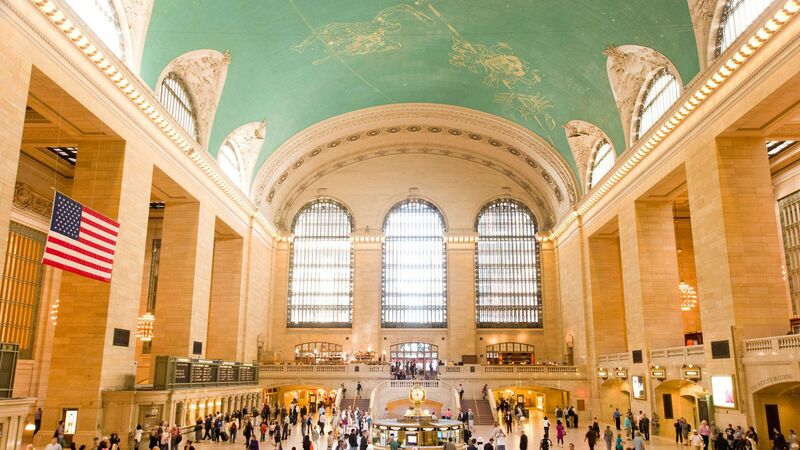 It’s also great for people watching: get a cup of coffee and watch the world go by. 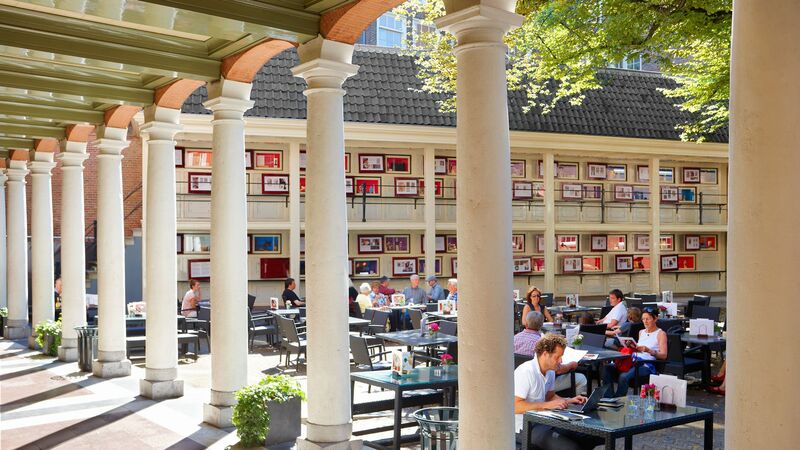 Join the locals for a steak (reputedly the city’s best), prawn croquettes or an uitsmijter (fried eggs with cheese)—plus great Belgian fries—at Loetje, a typical Dutch eetcafe (the national version of the bistro). As well as the Old Masters, the Rijksmuseum has a fantastic Asian collection—the perfect place to contemplate the emptiness of consumerism amongst the serene sculptures of Buddha and assorted boddhisattvas. Take in some classic Dutch scenery at Brouwerij t’IJ, which is located next door to a fine old windmill. This microbrewery produces some of the city’s best organic beer—a great alternative to shopping at any time. In Amsterdam, you don’t have to be a kid to enjoy pancakes for dinner. The Pancake Bakery, housed in a lovely old warehouse on picturesque Prinsengracht, serves up adult-sized savory Dutch pannenkoeken in every permutation you can think of, from Italian-style caprese to Thai chicken to chile con carne, plus a range of temptingly sweet options for after (assuming you can manage it). In the Hub, you could shop on Black Friday and beyond until you practically drop from the powerful burst of rampant consumerism. But if the sales-seeking crowds aren’t your thing, we’ve got you covered. Read on for our alternate suggestions, pick out a few, and experience some of Boston’s many joyful corners on this holiday weekend. Leave the turkey behind and head on over to Sarma in Somerville for some Turkish delights. At the bar, you’re having the Saffron Sour (gin, saffron, dried lime, and more) and to nosh, a few lamb sliders and fried olives. Walk over to the Huntington Theater Company to catch Nick Offerman (of “Parks & Recreation” fame) as Ignatius J. Reilly in A Confederacy of Dunces. 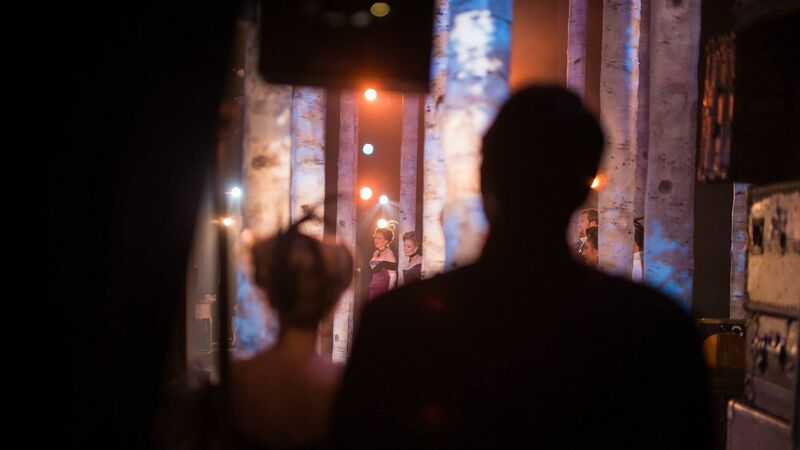 Based on the celebrated Pulitzer Prize-winning novel, the play is up until December 20th. Any lover of design and architecture will want to get thee to the Otis House, which is the last surviving mansion in Boston’s West End. On the guided tour, visitors learn about the exuberant wallpaper, stunning tea services, and the home’s various lives and inhabitants over the past two centuries. Most folks would rather run for cupcakes, but the long and leisurely “Great Boston Cupcake Crawl” through the city starts at 11 a.m. and lasts for 2.5 hours and features signature red velvet, chocolate espresso, and other cupcake flavors from local favorites like the South End Buttery and Sweet. Along the way, you’ll learn about the craft of cupcake creation and meet some of Boston’s best pastry chefs. Head over to the Rockwell Cage Gymnasium at MIT to watch their annual Chain Reaction event. Starting at 1 p.m., hundreds of participants link their chain reaction devices (curious inventions in the style of Rube Goldberg machines) and the fun lasts all afternoon, until the penultimate event sends them all into play at once. Bonus: Your ticket includes admission to the MIT Museum. Wander over to Cambridge to experience the Harvard Museum of Natural History, which contains an exquisite collection of hand-crafted glass flowers (don’t miss the orchids) and their new marine life exhibition. Walking around, you’ll be surrounded by elaborate models of glowing jellies, a massive sea turtle, and other pelagic creatures. In Copley Square, step into the Norman B. Leventhal Map Center to view their latest exhibit, “Women in Cartography,” which celebrates five centuries of innovation with globes, unusual projections, and more. Step close to see the details of Ruth Sutton’s creative 1946 map of Nantucket, and Jacqueline Schmidt’s delightfully detailed butterfly map from 2014. A sip (or two) of Chicago is coming to the Foundry on Elm in Somerville on Black Friday, and you’ll want to be there to taste it. The bar is going to offer the release of Goose Island’s Regal Rye Bourbon County Brand Stout. You’ll taste hints of blackberry juice and candied cherries in this bit of alchemy, and there’ll be other of their fine beers available, too. Stop by Symphony Hall to hear the Handel and Haydn Society perform their rendition of Handel’s Messiah, complete with a cast of British and American soloists accompanied by the Period Instrument Orchestra (performance begins at 7:30 p.m.). Interestingly enough, the Society performed the American premiere of this holiday favorite in 1854, so they’ve got a few performances under their belt. Don't spend the day after Thanksgiving fighting for steep discounts on merchandise; instead check out these things to do in Chicago that deserve much more hype. View Michigan Avenue from the ice with a public skating session on Millennium Park's ice rink. Afterwards, step into the Park Grill next door and indulge in some rich hot cocoa topped with homemade marshmallows. Get a peek inside Chicago's German heritage at Christkindlmarket, the annual Christmas market held in Daley Plaza. While you're browsing, pause for some sauerkraut soup and chocolate-covered fruit kabobs— both are local favorites. Always free and one of the most-beloved parts of the Chicago holiday season, the window displays at Macy's are opulent, automated, and a twinkling reminder of the season's joy. Take a cab a little out of the city to Rosemont, where you can don a skydiving suit and fly in an indoor wind tunnel. iFly brings the skydiving dream to the masses—even on cold winter days when the real thing isn't an option. Have kids? Take them to see the annual Wreathing of the Lions, when the statues that sit outside the Art Institute get outfitted in their holiday greenery. Afterwards, head into the museum to make wreaths of your own. Fans of the book will love this tour put on by Weird Chicago that takes guests to all the major remaining sites of H.H. Holmes' reign of terror during the 1893 Columbian Exposition. This is a unique chance to participate in Chicago's favorite everyman sport: WhirlyBall. Score points for your team with a handheld scoop and whiffle ball while traversing the field from the comfort of a rickety bumper car. Los Angeles is a world-class shopping destination—the first U.S. city to have flagship stores for Neapolitan tailoring masters Isaia, and COS, the upscale clothing brand launched by H&M in 2007—but there are 364 other, less-crowded days for retail therapy. Here are some alternatives to the hustle and bustle of L.A.’s famed shopping strips and mega-malls. Park your car at Trails Café on Fern Dell Road in Griffith Park, grab a beverage, and climb the steep and winding 20-minute aerobic path up to the Griffith Observatory, which offers killer views of the Hollywood sign and the sweep of the L.A. basin, both coming and going. Admission at the Art Deco masterpiece—made famous in the James Dean film Rebel Without a Cause—is free. Los Angeles’ subway and light rail system is cheap, clean, and relatively convenient. 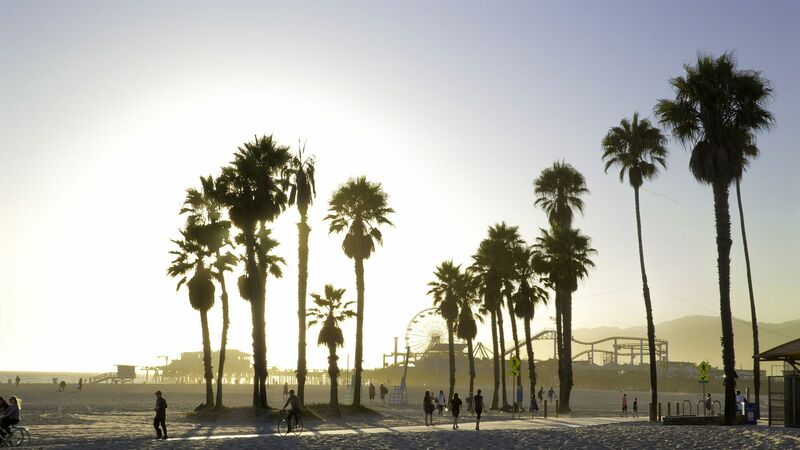 From numerous stops in both Hollywood and downtown, you can reach Koreatown, Chinatown, Pasadena, Los Feliz, Universal Studios theme park (which just launched the new Fast & Furious Supercharged ride), the Autry National Center western museum, and even the historic ocean vessel Queen Mary and the Aquarium of the Pacific in downtown Long Beach. Fans of chef Ludo Lefebvre, the king of pop-up restaurants, now have one more spot to queue up for. In addition to his ticketed tasting menu restaurant Trois Mec and the bistro Petit Trois, the tattooed French impresario just launched Trois Familia, a neighborhood French-Mexican café with white painted indoor picnic tables in a strip mall on a suddenly hip stretch of Sunset Boulevard in Silver Lake. From the new Broad Museum to the classic Bradbury Building, featured in Blade Runner, The Artist, and 500 Days of Summer, Los Angeles is filled with architectural splendors—including Frank Gehry’s monumental Walt Disney Concert Hall (check out the garden in the back with a fountain made from Delft china). And don’t miss out on nearby Grand Park, a vibrant urban green belt that stretches from City Hall to the Music Center. The city’s famed automotive museum is filled with Hollywood classics, hotrods, and the Popemobile, but its recent renovation into a mess of steel ribbons wrapped around a red building designed by New York architecture firm Kohn Pederson Fox, has caused a civic uproar. After you’ve had a look—and a laugh—head over to the more stylish spots on Museum Row—the La Brea Tar Pits, The Craft and Folk Art Museum, and the campus of LACMA (featuring Ray’s & Stark Bar, which has a water sommelier, yes, you read that right)—or meander over to Little Ethiopia (Fairfax Avenue, south of Olympic Boulevard), and try the rich stews and injera flatbread at Messob or Meals by Genet. Los Angeles is known for its many famous improv troupes that have launched the careers of SNL stars and comedians. Among them: Upright Citizen’s Brigade, Groundlings, and Second City. But Improv Olympics is where it all began, and it’s a secret gem on the comedy scene in the heart of Hollywood, with its own bar. At Exposition Park, a complex of institutions including the 1984 Olympic stadium and the National History Museum of Los Angeles (check out the amazing gem vault), the California Science Center features a pavilion displaying the Space Shuttle Endeavour. It might be too cold to swim, but you can check out the Pacific Ocean, the Santa Monica pier and boardwalk, and the Venice Canals on a $68 two- to three-hour guided bicycle tour from Pedal or Not. You can use this as an excuse to burn off the Turkey Day calories, or just cruise—all bikes have standard pedals and an electric motor. Walking down Hollywood Boulevard, you’ll get hustled by all kinds of tour operators, including the TMZ bus that departs from the famous Chinese theater. For an even more salacious experience, head over to Sunset Boulevard and join one of the Tragical History Tours, which highlight true Hollywood crimes. Why not cap it all off with a visit to one of the city’s favorite goth haunts Museum of Death? It is Black Friday, after all. If you’re in Miami for Thanksgiving weekend, the official start of the city’s high season, braving the bargain-bedazzled hordes at the nearest mall may be the last thing any sensible lover of warm weather would want to do. Another, far wiser option is to take the day and explore the best of Miami. Then head about a half hour south to Pinecrest, a quiet residential neighborhood, for lunch at Pinecrest Wayside Market, featuring sandwiches, baked goods, and fantastic tropical shakes made with mamey and mango. While you’re in the neighborhood, stroll the grounds of the former Parrot Jungle tourist attraction, now the lush Pinecrest Gardens, a 20-acre park that’s also the site of art festivals and a weekly farmer’s market. In Homestead, about an hour south of Miami, take in the fantastical Coral Castle, a massive coral rock fortress single-handedly built in the 1920s by Edward Leedskalnin as a tribute to his lost love. In Florida City, a few miles south, walk the Anhinga Trail at Everglades National Park, overlooking alligators, great blue herons, and egrets. After a dose of nature, head north to Coconut Grove for a bit of Old Miami at Vizcaya Museum and Gardens, a circa-1914 Italian Renaissance-style mansion built by James Deering and, forever onto end, the most beautiful place in Miami. Just off the 79th Street Causeway leading to Miami Beach is an institution that every Miami native loves, the Pelican Harbor Seabird Station. There’s no charge to walk among the cages and see hundreds of injured and orphaned brown pelicans being nurtured back to health, but the center gratefully accepts donations. Since 1980, they’ve helped some 200 species of birds. To work up an appetite for dinner, head to South Beach and rent a kayak or a paddleboard at South Beach Kayak. 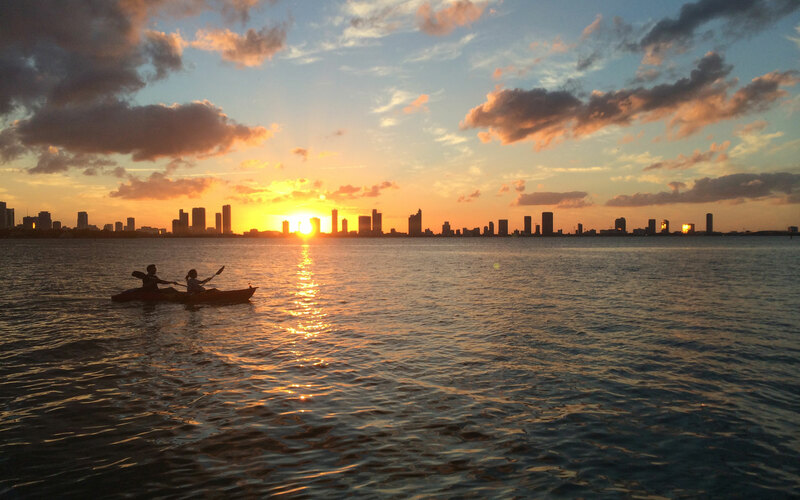 The two-hour Sunset Paddle ($65 per person) is a true workout, accompanied by the stunning backdrop of the sun setting over Biscayne Bay. For an early dinner, try one of two shiny new restaurants nearby. In Bal Harbour, Le Zoo is Stephen Starr’s latest Miami restaurant (bringing the grand total to four). Le Zoo, featuring the talents of chef Craig Wallen, is all about old-school French fare, from steak tartare to scallops nicoise, and the decor is inspired by the romance of the long-ago French Riviera. On Miami Beach, the new Talde Miami Beach—launched by Top Chef vet Dale Talde, who also has outposts of the restaurant in Brooklyn and Jersey City—serves creative, fun plates with an Asian spin, such as the crispy oyster and bacon pad thai and lemongrass pork chops. For a performance not to miss, get to mainland Miami for A Broadway Thanksgiving at Ted’s performance space in the YoungArts Tower. The cabaret performance features Grace Martini, Hannah Richer, and Miguel Luciano of Talia in The Kitchen. If the show works up your appetite, dinner is available in the space by Starr Catering Group. Black Friday means two things: rock-bottom deals and hordes of shoppers vying for the season’s must-have gifts. In New York City, where entering certain stores means wading your way through crowds any old day, Black Friday can feel like some kind of crazy, consumerist fever dream. Why not skip the chaos and take advantage of a day when most people will be crowding the department stores to experience some of the city’s attractions? 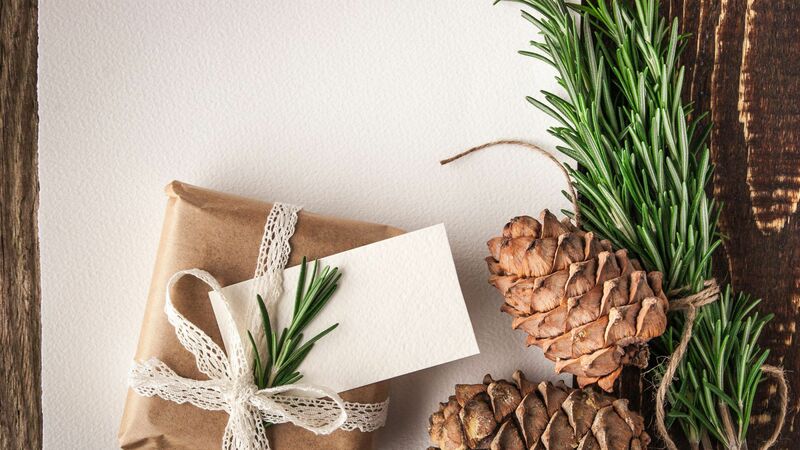 Here are seven fun and quirky things to do instead of shopping. Culture vultures should head to MoMA to check out one of this season’s must-see exhibits. The Picasso Sculpture show gathers a hundred of the artist’s 3D pieces, which provide a fascinating counterpoint to his cubist paintings. Also on view starting November 22 is a survey of Jackson Pollock’s work. 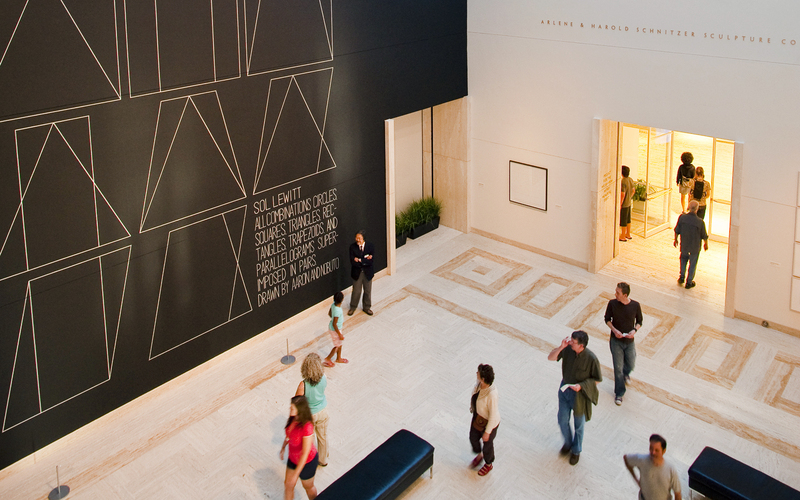 Take advantage of free Friday nights by visiting between 4 p.m. and 8 p.m. The New York Botanical Garden’s holiday train show is an impressive sight to behold. This year’s promises to be larger than ever, with an additional 3,000 square feet of exhibition space in which to showcase models of New York’s most iconic landmarks, including the Chrysler Building, the Flatiron Building, and Saint Patrick’s Cathedral. Escape the crowds on Fifth Avenue and duck into the Pierre, a Taj Hotel for afternoon tea. The hotel’s elegant Two E Bar Lounge offers a classic service with tea sandwiches, scones, and pastries for $55 or $85 (the latter with unlimited champagne). The lounge also serves unique and delicious cocktails, like the Basil Smash, made with gin, orange cordial, basil, and olive oil. There are plenty of great shows on Broadway this holiday season both with matinees and evening performances. Hamilton, Wicked, and the Book of Mormon are among the most popular. Allegiance, starring George Takei, sheds light on what it was like to be an Asian-American in the U.S. during WWII. For the ultimate in luxury, book a massage or facial at Spa Nalai on the 25th floor of the Park Hyatt New York on 57th Street. With facials starting at $240 and massages starting at $225, the treatments aren’t cheap, but will give you all-day access to the indoor pool. With its tasteful, modern design, excellent views of Midtown, and classical music piped in from neighboring Carnegie Hall, an afternoon at Spa Nalai is blissfully relaxing. Sure, you can drink at hidden bars anytime, but why not go when everyone else is busy? There are a plethora of clandestine cocktail bars on the Lower East Side, including Attaboy, the Back Room, and Fig. 19. If you want to avoid the crowds, the best time to go is right when they open in the early evening. For some mystery and intrigue, reserve a spot at the Magician’s show at the Nomad. Charismatic magician Dan White (pictured) has appeared on Jimmy Fallon, collaborated with Kanye West on the visuals for the YEEZUS tour, and consulted with legendary illusionist David Copperfield in Las Vegas. 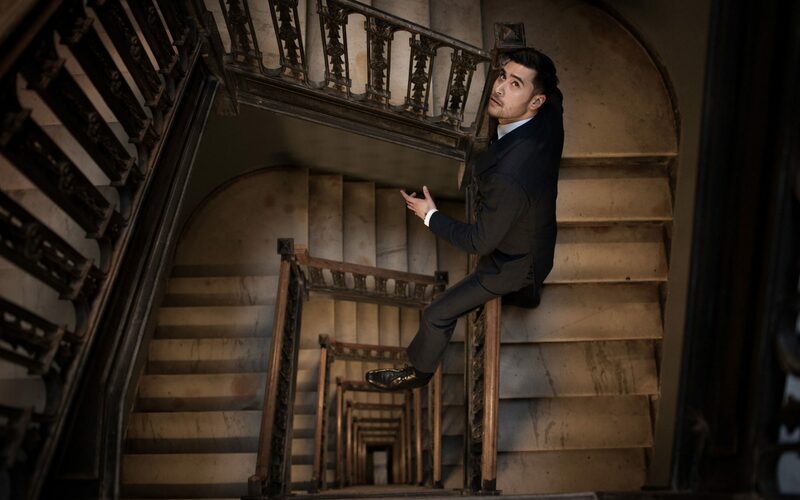 His magic show upstairs at the Nomad will leave you enthralled. Cocktails by bar director Leo Robitschek enhance the mood. While fighting other shoppers over half-priced socks at Fred Meyer is a time-honored Portland Black Friday tradition, there's more to the day after Thanksgiving in this Northwest city. 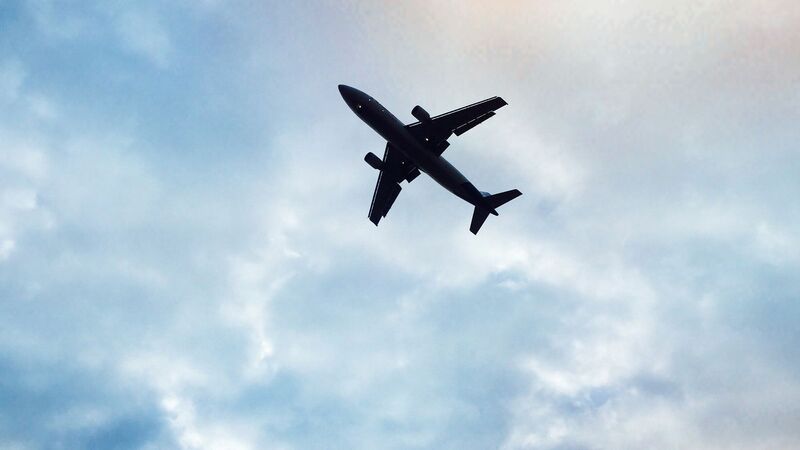 For anyone ready to explore other options, here are a few of our favorite ideas for what to do. Kick off the Christmas season by riding the Holiday Express, a vintage steam locomotive that starts at Oaks Park and takes riders through the Oaks Bottom Wildlife Refuge. Santa and elves will also be onboard. Go and pet some local alpacas. EasyGo Farm and Alpacas of Oregon will open their alpaca barns to visitors on Black Firday. Does buying alpaca yarn for winter projects count as shopping? We think it gets a pass. Lace up those hiking boots and burn off a few Thanksgiving calories. Visit Forest Park for an in-town hike, or drive out to the Columbia River Gorge for an unforgettable day trip. By late November, the crowds at Multnomah Falls will have thinned out. The Willamette Valley's wineries welcome the Black Friday crowd. Wine-lovers can sip their way through its tasting rooms, where like-minded visitors will be sampling the best of the area's reds, whites, and sparklers. Black Friday marks the official kick off of Zoo Lights at the Oregon Zoo, an annual winter festival where the popular landmark is decked out in a million and a half lights. It's an entirely new way to experience the animals. Before World War Two, what Portlanders now know as Chinatown or Old Town used to be Japantown. You can take a historic tour of the neighborhood, with a free iPhone app to guide you. Want to watch local football on a big screen? Go to East Burn, a popular eatery, to see the Ducks take on the Beavers. Minors are allowed until 9 p.m., so sports fans can bring the kids. Then again, Eugene is just down I-5 for those who want to watch the game in person. Warm up at Kenny Scharf's Cosmic Universe, now showing at the Portland Art Museum. It won't feel like winter inside this psychedelic, Day-Glo installation that's on view through February. Long a family tradition, the My Macy's Holiday Parade kicks off at 9 a.m. in downtown Portland. Wave at 25 floats, school marching bands, Santa and other costumed characters, along with the rest of the city. Guests don't have to be Catholic to enjoy a visit to the Grotto, a shrine located on 62 acres of forested green space. 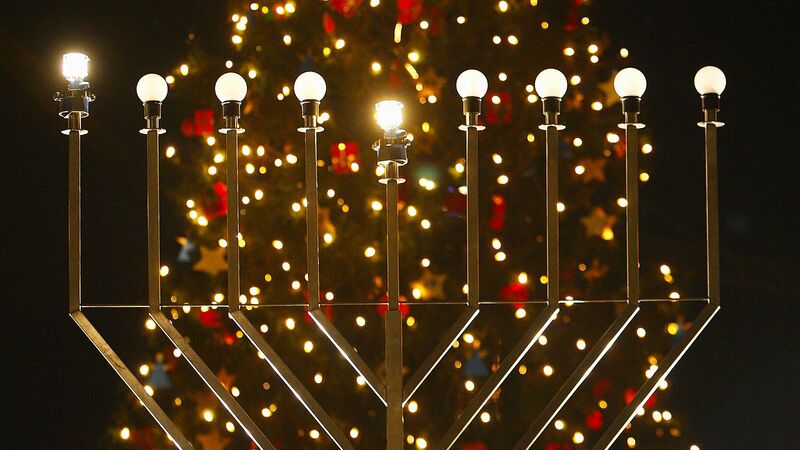 Starting on Black Friday, visitors come for the Christmas Festival of Lights, featuring a half million lights adorning the pine trees, plus choral performances, puppet shows, and a petting zoo. This is also the perfect day to do something for someone else. Help a friend, neighbor, or organization in need by volunteering while you're here. For ideas of non-profits that could benefit from your time and expertise, check out Willamette Week's Give Guide. Ice skate into winter at the Oregon Garden's 3,500-square-foot outdoor rink. 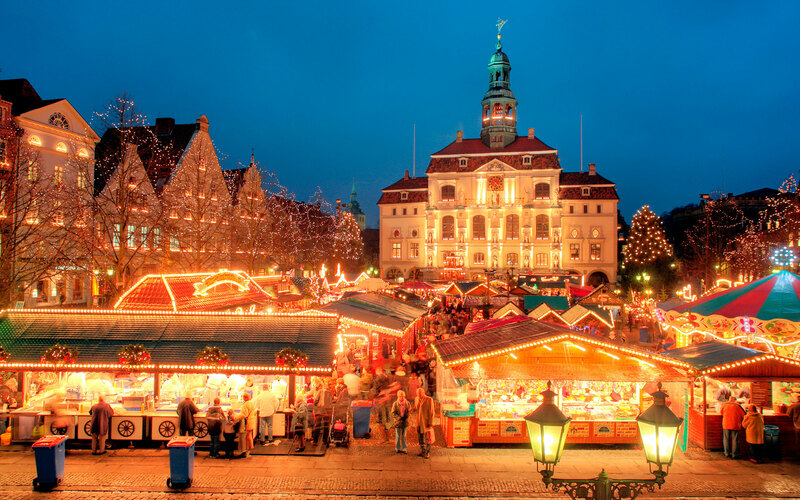 Then warm up with gluhwein, a traditional Austrian red wine mulled with spices and raisins. Get a cultural steal on the Portland Ballet's 1 p.m. preview of the Russian fairytale "Firebird." The PSU Orchestra will perform Stravinksy's music for only a $5 charge to guests. 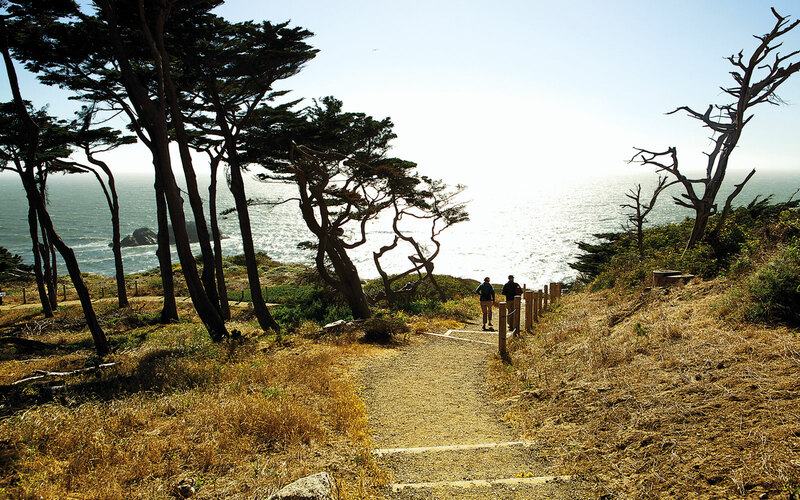 You’re in San Francisco for Thanksgiving this year and have a free day to roam the city. Since you decided against joining the Black Friday mobs in Union Square, what to do instead? 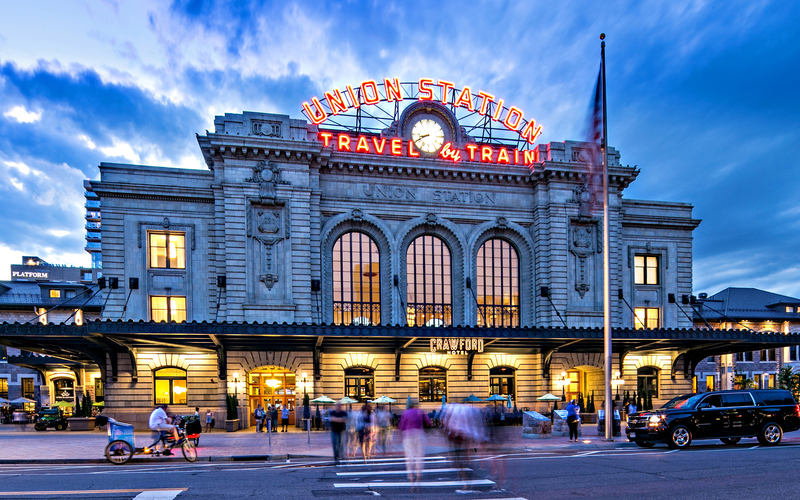 In a city that has plenty of inventive ways to spend time, you’ve got options. From wasting away the afternoon sipping Irish Coffee to ice skating outdoors in California’s fall sunshine, here are nine ways to spend your Black Friday away from the mall. Burn away any lingering tryptophan effects at Davies Symphony Hall, with the San Francisco Symphony’s rendition of Tim Burton’s The Nightmare Before Christmas. 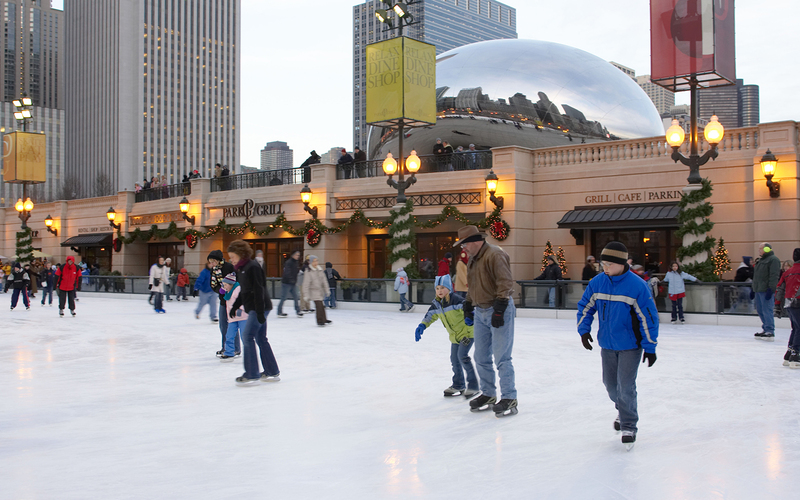 Get in the winter spirit at the Holiday Ice Rink at Embarcadero Center. Each year, this is the largest outdoor ice rink in the Bay Area—and arguably the most photo-worthy, with the Ferry Building and bay just across the street. 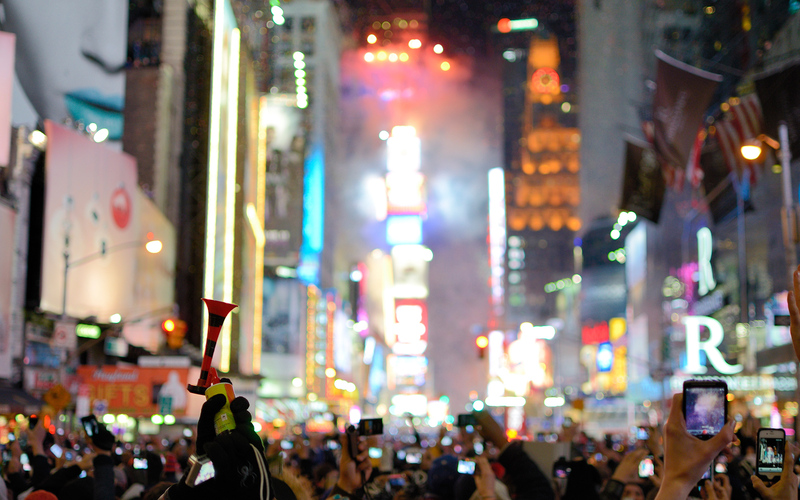 Burn off some of that stuffing with a citywide scavenger hunt. Urban Quest Adventure allows you to form a team and use your smartphone as your guide on this three-hour citywide adventure, learning bits of local lore along the way. The quest begins at Yerba Buena Gardens and takes you on a route to Union Square, Chinatown, and Fisherman’s wharf, and you can pick the start time that works best for you. Technically, the Celebration of Craftswomen fair at Fort Mason Center counts as shopping, but it’s nowhere in the realm of the Black Friday frenzy. Showcasing quality handmade art from 300 local female artists working with mediums like ceramics, jewelry, glass, fiber, leather, wood and other fine arts. Far, far, from Union Square, on the west side of the city, tucked deep in the verdant pocket of Golden Gate Park, is the Botanical Garden. Stroll the 55-acre park that features more than 8,000 plants from around the world, and decompress from the holiday madness. Hungry? Join Avila Tours’ North Beach Food Tour for a few hours of sampling the Italian cuisine of one of the city’s most vibrant neighborhoods. Learn about the history of the Barbary Coast and secret passageways once used to smuggle in booze during prohibition. Plus, stop at four North Beach staples for Italian fare, wine, and a cocktail (book ahead). Swap consumerism for a culture fix at the Asian Art Museum near San Francisco City Hall. The current exhibition, “Looking East” evaluates the art that emerged from Japan and influenced the Western art world after it opened its port to international trade in the 1850s. Inside, you’ll find rare works from prominent Japanese artists and more than 170 objects. Peruse decorative paintings, prints, drawings and textiles. Nothing says “decompress” to a San Franciscan like a long, slow afternoon nursing a strong and frothy Irish Coffee at the Buena Vista, watching the fog roll in off the bay. There’s only one reason to brave the holiday crowds clogging Union Square on Black Friday: for the annual tree lighting ceremony. The 83-foot-high Christmas tree is decked with more than 33,000 lights and 1,100 ornaments. The ceremony starts at 6 p.m., but arrive early (and with hot cocoa in-hand) for a prime viewing spot. We know Black Friday is all about shopping, but that doesn't mean you want to join the fray searching for deals in the stores. If you have time off and happen to be traveling in Vancouver, skip the retail rush and spend the day getting to know the city. Here are nine things to do instead. 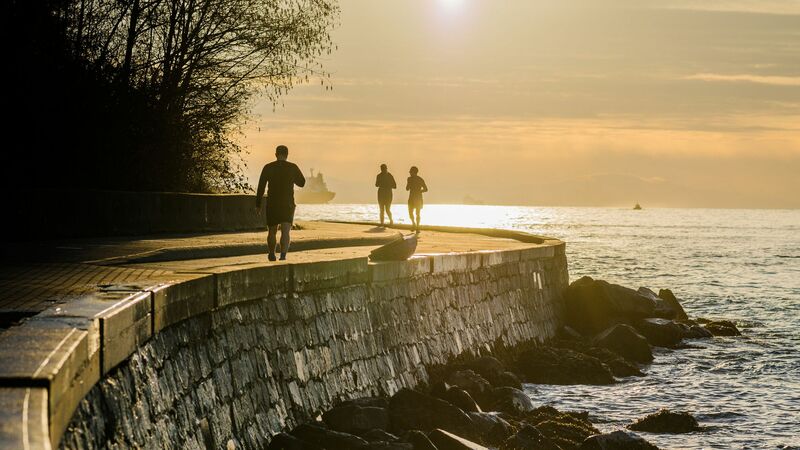 Take a walk around Stanley Park, which encompasses a 988-acre rain forest and part of the Vancouver Seawall. The views are spectacular on a clear day, from the water to the cliffs, to the evergreens and the mountains. Take in the works at the Vancouver Art Gallery, the premier exhibit space in the city. You can view the conceptual design of the much-anticipated upcoming renovation, created by the architectural firm Herzog & de Meuron. Sit down for a leisurely lunch at The Flying Pig, which has three locations in Vancouver. This nouveau Canadian bistro is a favorite with locals and serves updated classics, such as braised beef short rib jumbo macaroni, on the lunch menu. Learn about other cultures, such as the First Nations, at the Museum of Anthropology at the University of British Columbia's Vancouver campus. You can catch the "c̓əsnaʔəm, the city before the city" exhibition on the Musqueam First Nation's history and culture, running through January 2016. Sample the local flavor at a craft brewery, such as 33 Acres Brewing Company, a hipster magnet in the Mount Pleasant neighborhood. Their citrusy 33 Acres of Ocean is a good choice. Vancouver is rich in elegant seafood, and you should indulge. One of the best sushi restaurants around is Miku, a waterfront dining room specializing in Aburi sushi that's flame-seared. Sit back for essential cinema at The Cinematheque, an art house cinema showing classics, both famous and overlooked. On Black Friday, you can catch "Baby(a)lone," a coming-of-age drama from Luxembourg/Belgium, or "The Keeper of Lost Causes," a Nordic noir film. Thanksgiving weekend in Washington, DC, is the perfect time to visit the city's otherwise most crowded spots—museums, restaurants, and art venues. Beat the crowds and get the best values on Black Friday by avoiding the malls and heading for the Mall. Spend the morning at the National Gallery of Art, one of the rare museums on the Mall not a part the Smithsonian Institution (though it's just as free). Founded by a donation from industrialist Andrew W. Mellon, the enormous and beautiful museum—divided into neoclassical West and modern East Buildings (the former designed by John Russell Pope, the latter by I. M. Pei), traces the course of Western art from the Middles Ages to the present. Several tours are offered each day. Don't neglect the rich permanent collection: the only Leonardo da Vinci in the Western hemisphere, Titian's "Venus with a Mirror," Rembrant's 1659 "Self-Portrait," John Singleton Copley's "Watson and the Shark," Augustus Saint-Gaudens's Shaw memorial, and Alexander Calder's magnificent mobiles. Grab lunch at the National Museum of the American Indian. The Mitsitam Native Foods Cafe draws its name from the phrase "Let's eat!" in the language of the Delaware and Piscataway peoples. The cafe—a hidden gem for those looking for a good meal on the Mall—serves food drawn from many Native American food cultures, from southwestern fry bread to Oaxacan corn totopos, to hybrid dishes like buffalo burgers. The Museum, of course, is so much more than just its food: check out exhibits on Incan road building, contemporary artist Kay Walkingstick, and the 1862 war between the U.S. and the Dakota. The day after Thanksgiving is Native American Heritage Day, so visitors on November 27 will be treated to performances by two-time World Champion Fancy Dancer Larry Yazzie. Warm up at the U.S. Botanic Garden, which features a large decorated tree, an array of poinsettias, a train display, and local landmarks—like the Lincoln Memorial, the Capitol, and the Washington Monument—made from plants. 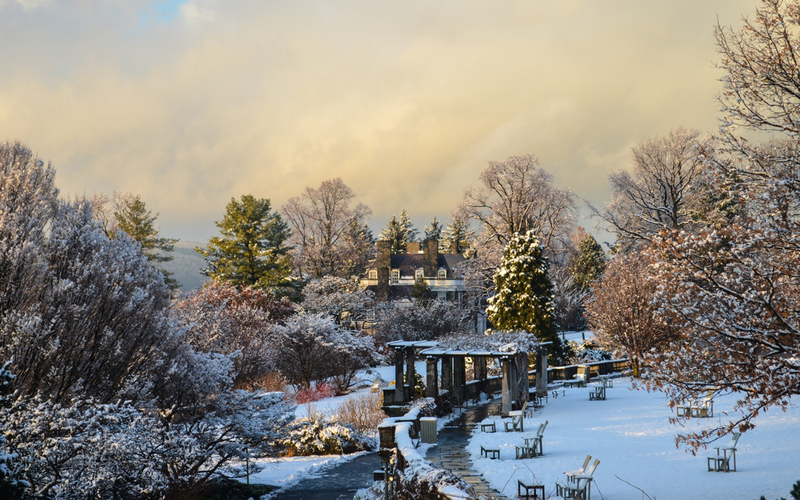 Open every day of the year, the garden is the oldest to continually operate in the United States. (James Monroe set aside the land in 1820.) French sculptor Frédéric Auguste Bartholdi, who also designed the Statue of Liberty, built the beautiful 1876 bronze fountain out front. Sip an early evening cocktail at Barmini by José Andrés. Spanish chef Andrés, who studied under molecular gastronomy pioneer Ferran Adrià at the Catalan restaurant El Bulli, is one of DC's premier restaurateurs. Barmini is one of his more recent projects, located beside his acclaimed multi-course prix-fixe restaurant, Minibar. Here ice cubes are cut with handsaws, spirits are instilled with Wonka-esque equipment, and the menu numbers more than 100 drinks. Try the seasonally spiced Palermo, made with nutmeg infused Fernet, bourbon, Carpano, egg white, and saffron syrup. 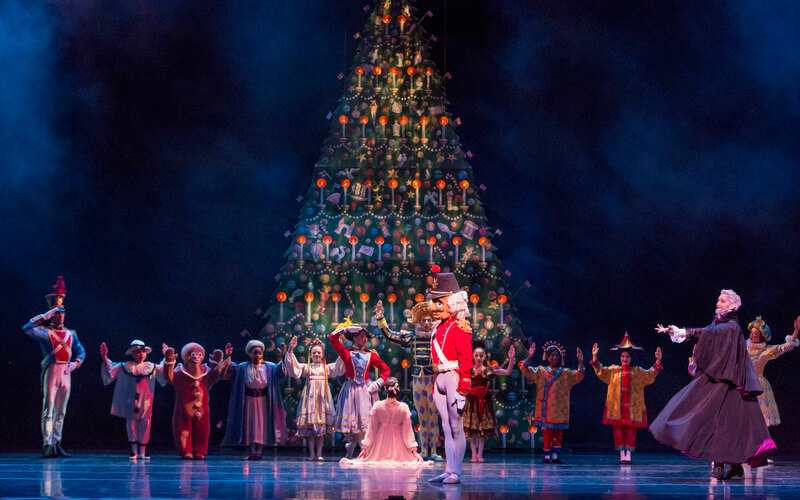 Catch the Joffrey Ballet's Nutcracker at the Kennedy Center. The Chicago dance company (the subject of Robert Altman's last movie, The Company) performs its last season of Robert Joffrey's American-themed choreography for the "Nutcracker" this year; choreographer Christopher Wheeldon's version will premiere next December. The Kennedy Center, a grand midcentury monument to the arts, is the perfect place to see it. 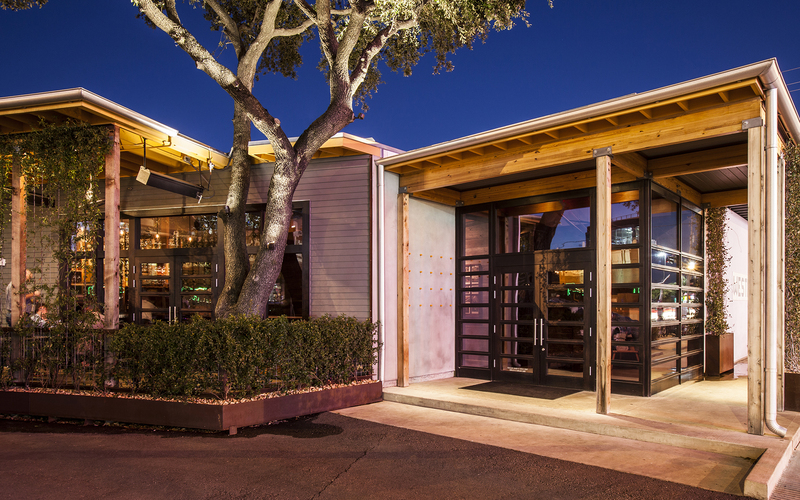 American-themed small plates menu—and the long line out front. Rose's Luxury doesn't take reservations, but the restaurant should be a little less crowded this weekend. Order a night cap at Harold Black, a bar hidden behind a door without a sign or number. Run by team behind popular DC restaurant Acqua Al 2, Harold Black used to be reservations-only, and reservations could only be made if you texted a secret phone number. Those days are behind Harold Black: it now reserves eight seats for walk-ins and uses an online reservation system for those who want to come prepared. For all the rigmarole about getting in, the drinks—like the simply named "Cocktail #4," which is made with chamomile- and pear-infused vodka, apricot liqueur, lime, champagne—are superb.